Recent reports about the influx of materiel into the Russian occupied Donbas and increasingly militant rhetoric by DNR and LNR leaders, combined with the world’s shift of attention away from Ukraine, has convinced many in the region that Moscow is about to launch a major new military campaign against Kyiv. 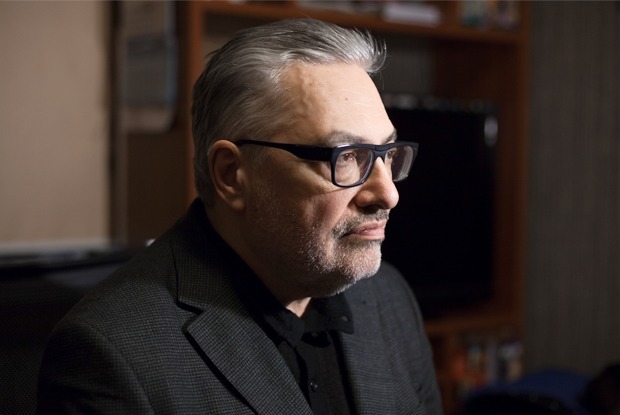 Pavel Felgenhauer, one of Russia’s most distinguished independent military analysts, says that such an attack in the near future “cannot be excluded” and that if it happens, it is likely to be camouflaged by Russian claims it is engaged in “peacekeeping” to avoid Western criticism. In a commentary for the Apostrophe portal, the analyst says that at a recent meeting of the collegium of the Russian defense ministry, Minister Sergey Shoygu justified strengthening Russia’s presence in the southeastern direction because NATO has increased its forces in the region. But NATO has done so in the northeastern direction, not the southeastern or Ukrainian one. Shoygu’s attempt to explain Russia’s actions by reference to NATO’s shows that there exists “a threat of escalation” of the conflict in the Donbas, especially given that officials there have talked about beginning new attacks on August 8. But such an offensive, Felgenhauer suggests, would likely begin at least as “a grandiose ‘humanitarian operation to save civilians’ who are being fired upon by ‘Ukrainian fascists’ and ‘Banderites.’” That is even more likely, he suggests, because Russian officials have been saying that Ukraine is already on the attack. Another “bad sign,” Felgenhauer says, is the unexpected recall of Russia’s ambassador to Kyiv and Kyiv’s refusal to give agrement to Russia’s preferred replacement given the individual’s career in the security agencies rather than in more conventional diplomatic work. Of course, the analyst says, each of these things may have explanations that do not involve the launch of a major military operation. But taken together, they suggest that Moscow is at least preparing the ground for such a move and that both Ukraine and its Western partners need to be prepared for that. “If something does begin,” he says, first will occur an intensification of clashes along the ceasefire line, an increase in shelling, and then Russia will declare ‘a humanitarian peacekeeping operation.’” That would follow its tactics in Aleppo, and such interference would be completely “open” with the use of Russian forces of perhaps as many as 100,000 men. This is “one of the possible scenarios directed at regime change in Ukraine,” Felgenhauer says. Moscow will continue to demand that Ukraine agree to remain outside of the Western bloc, a commitment Kyiv is not ready to agree to. But Russia will do whatever it thinks it has to in order to ensure that happens, and the West may ultimately back down as a result. Why does right now seem like the time Moscow is most ready to do something like this? Because, Felgenhauer argues, the US and Europe are distracted by their own domestic difficulties and are far less likely to be able to agree on any action, including enhanced sanctions if Moscow does expand its invasion of Ukraine.